My Co- worker Lindsey and I decided that we needed to do a summer hair tutorial for y'all. This summer is all about getting that hair off your neck and back. I mean we live in Houston and we all know its like walking around in the sauna all day. The last thing we want is to feel sweaty hair on our skin. 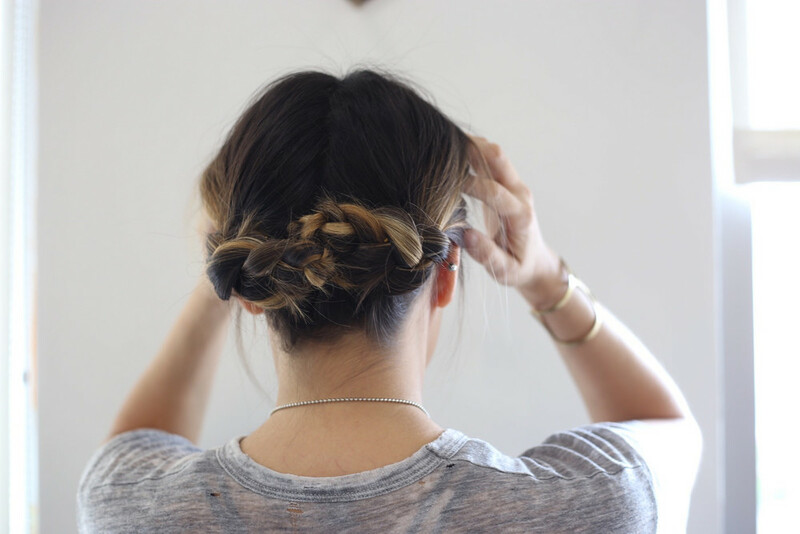 This Braid Cross Tuck is perfect for everyday hair. I am a fan of doing this when my day is full and I don't have a lot of time to keep up with my hair. So right when I wake up I'll fix my hair and go to the gym. After when it's all sweaty I just blow it dry or let it air out, spray some dry shampoo, and go to work. When work is over and I'm in a rush to get to happy hour my hair is perfect and doesn't need sprucing up. The messier the better. 1. Divide hair in the middle and braid each side. 3. Cross braid over to opposite side of part and pin. Do again with other braid. 4. Tuck the ends of hair underneath braids and pin. 5. Rough up braids by pulling them apart gently. 6. Pullout loose pieces of hair at front and sides. Boom. You did it!